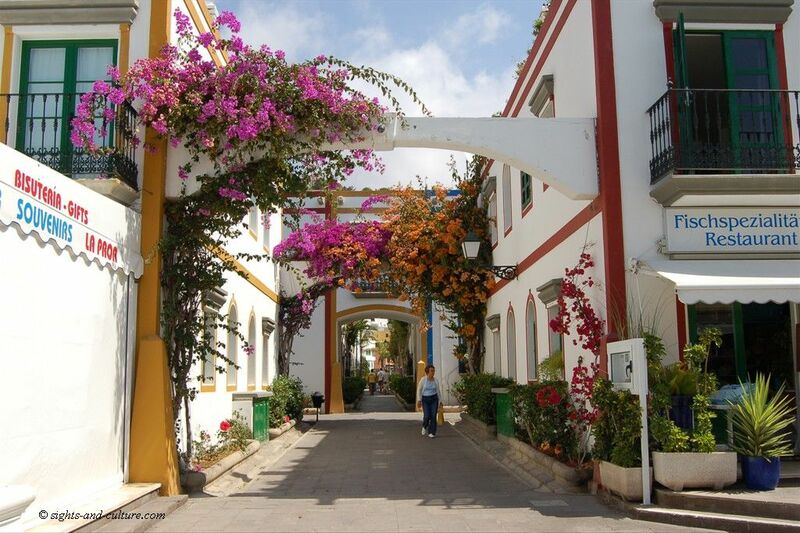 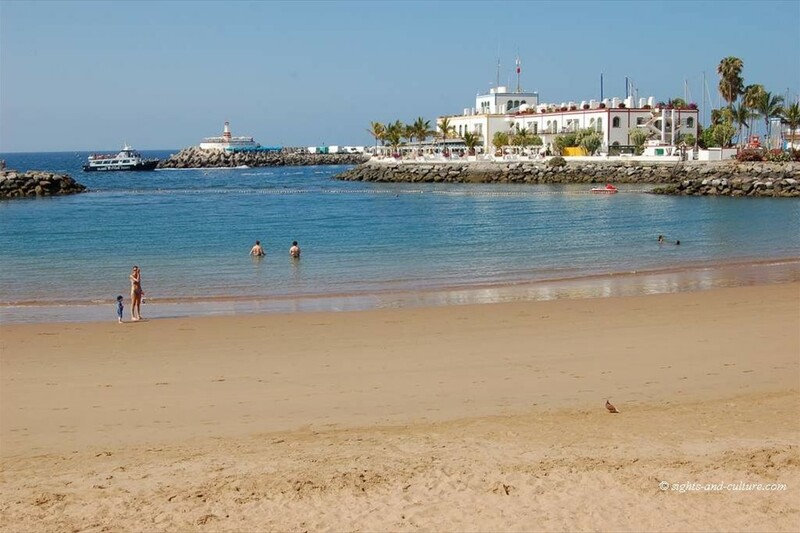 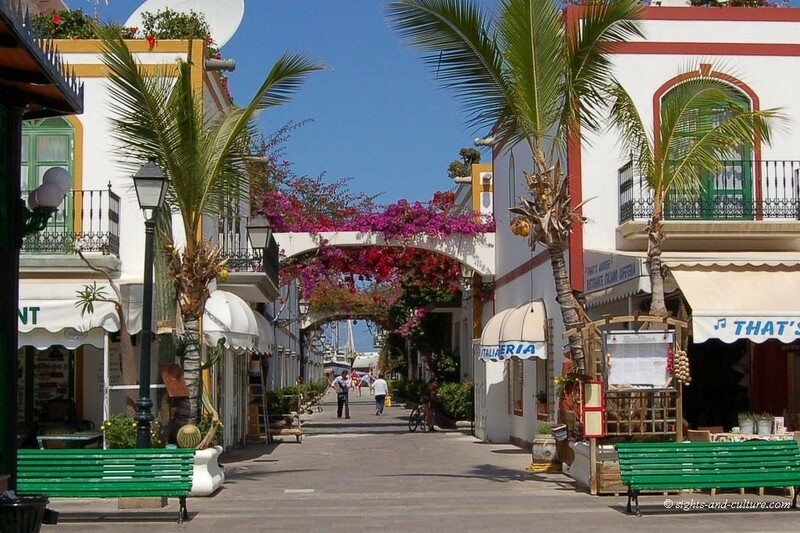 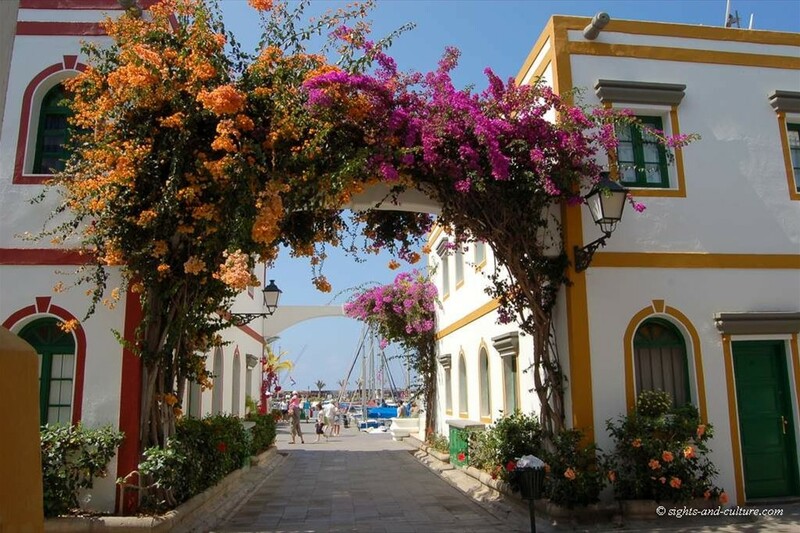 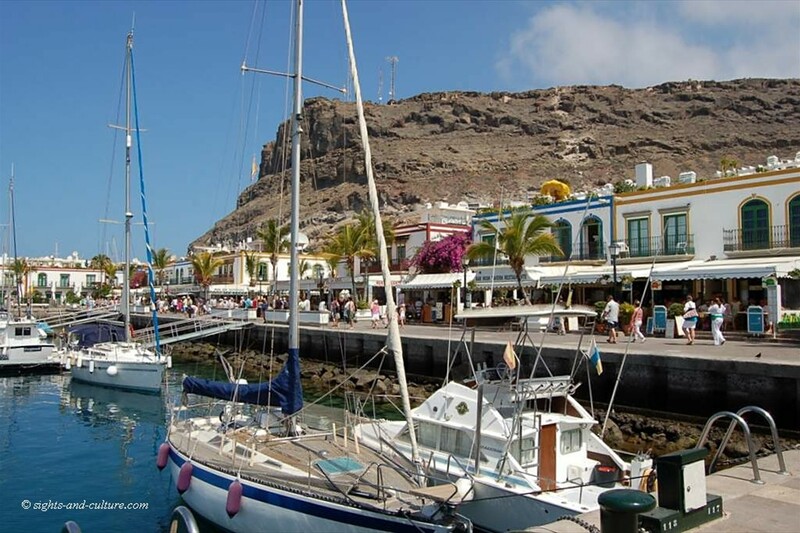 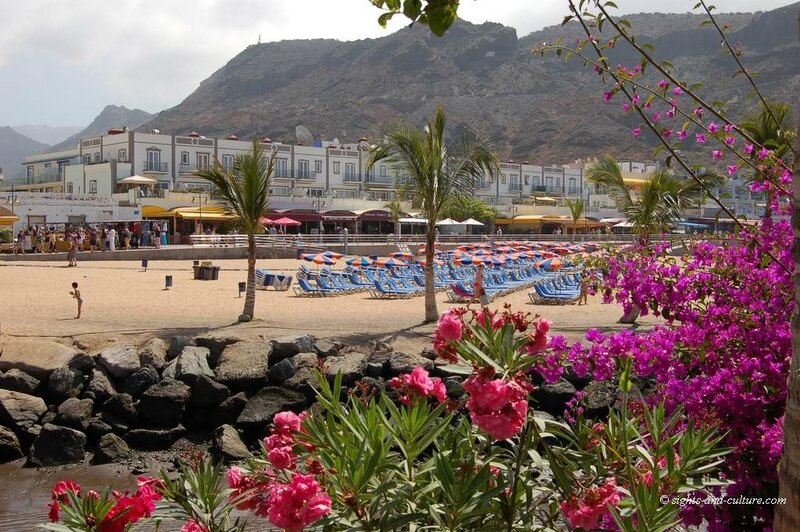 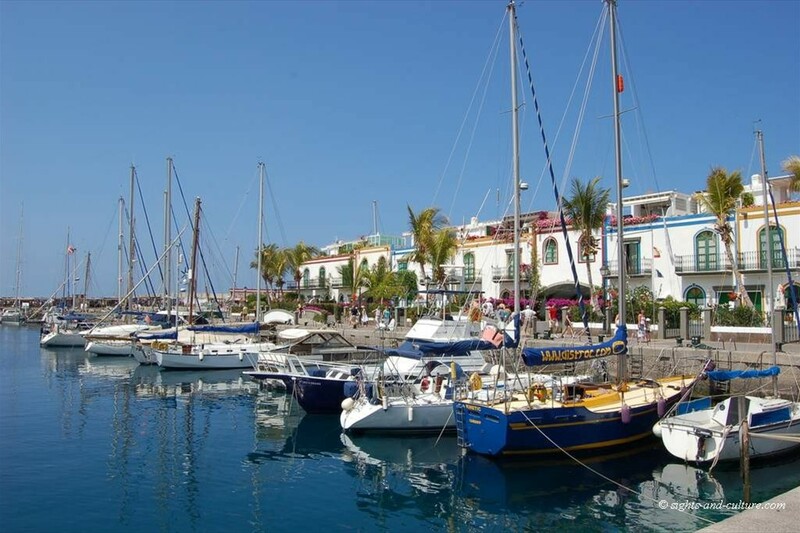 Puerto de Mogan is a picturesque fishing village, at the south-west coast of Gran Canaria. 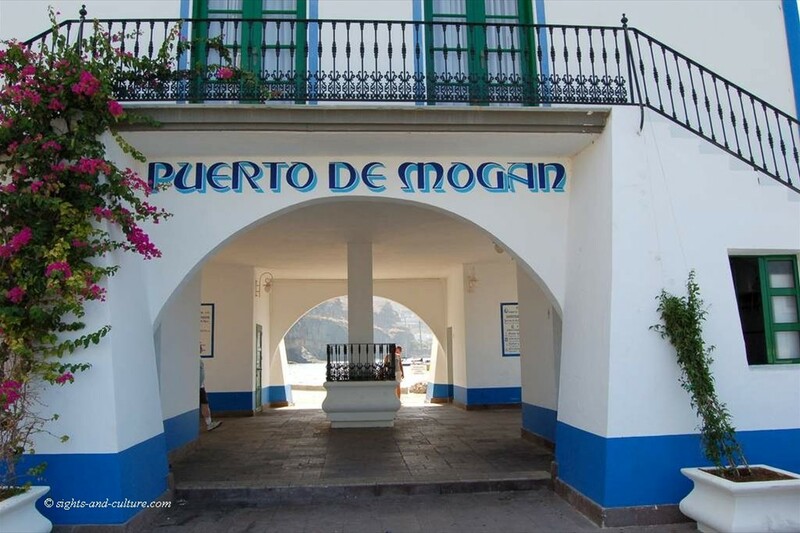 It was designed and developed as resort between 1983 and 1988 around the small harbour of Mogan, at the foot of steeply rising mountains. 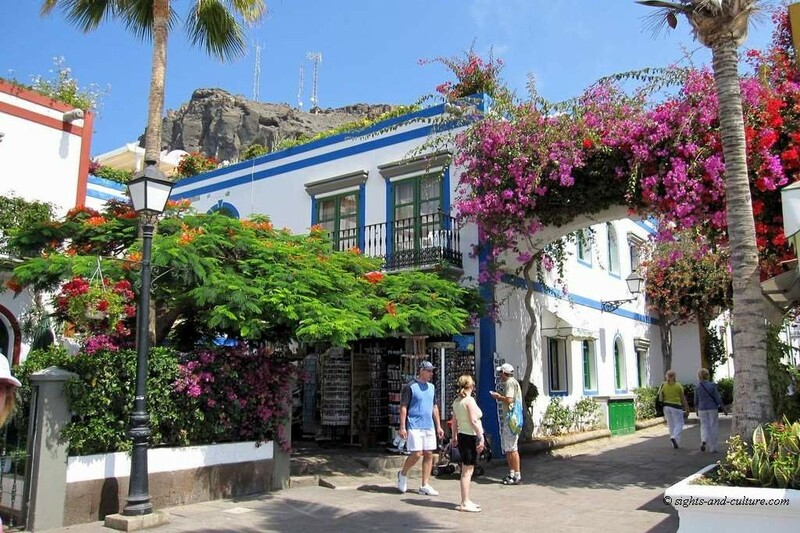 There are only houses with up to two storeys, to keep the original charm. 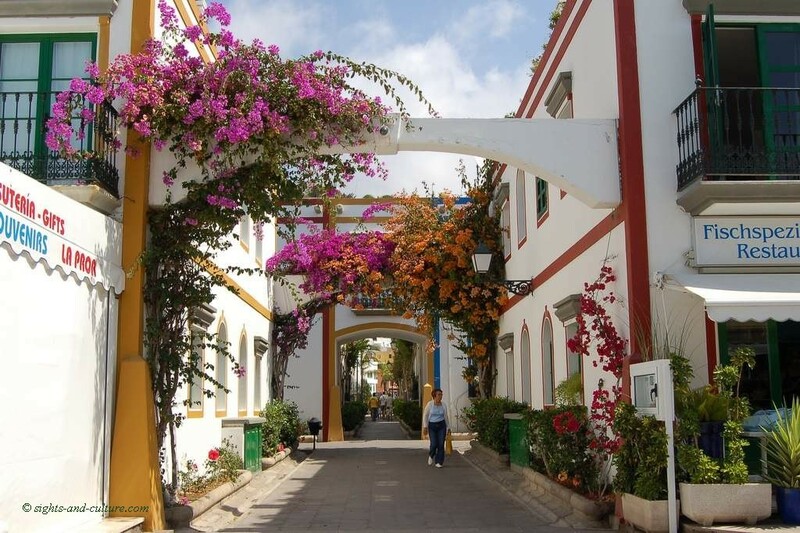 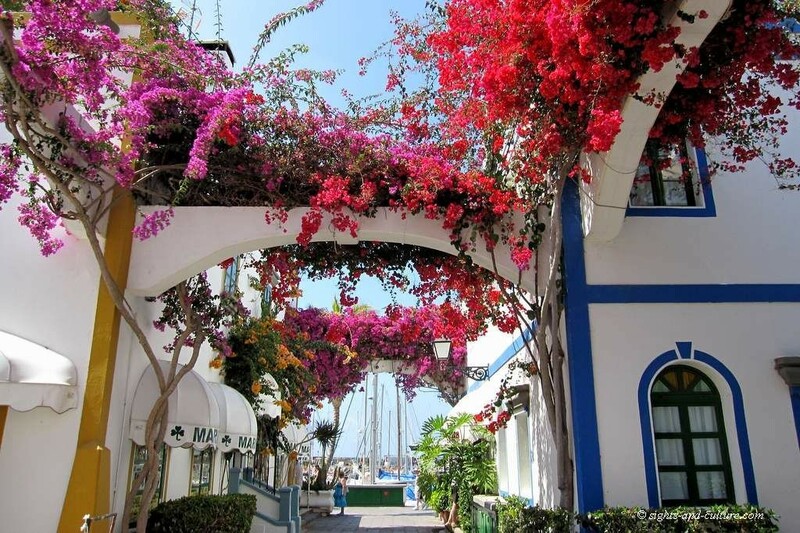 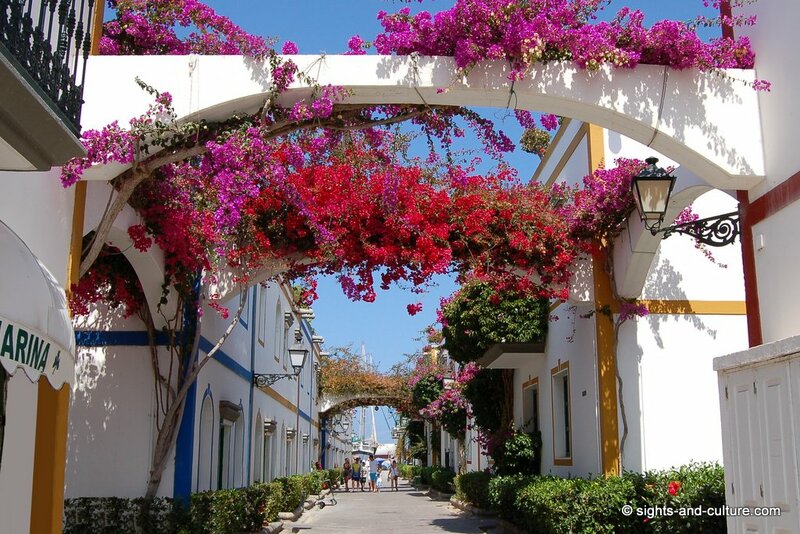 It is a pleasure, to walk under arches with luxuriantly blooming bougainvillea in all colours, that span the lovely alleys with their small, white-washed houses and colored window and door frames - an enchanting sight! 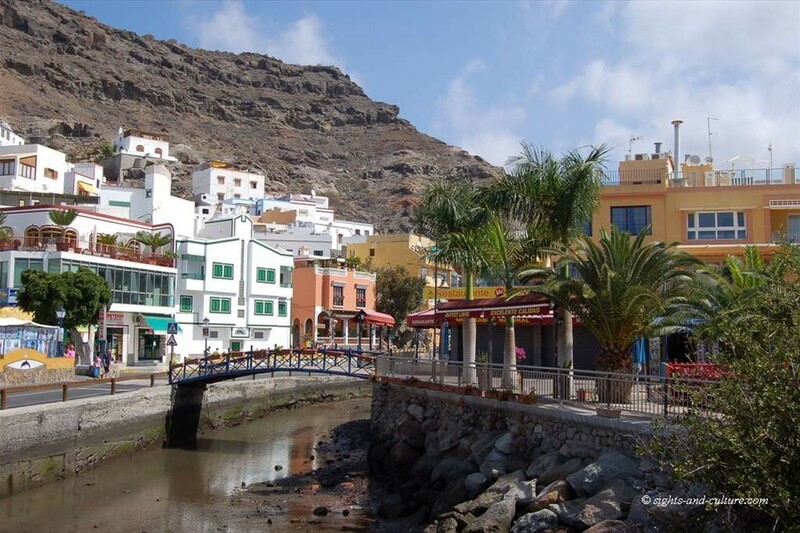 Beyond that a few canals run through the town, so that after all the charming town got the nickname “Venice of the Canaries”.